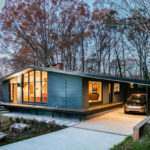 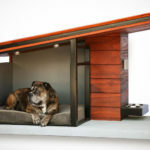 Created by Southern Californian architectural designers, Alejandro and Sara Pijuan, the husband and wife team behind PDW (Pijuan Design Workshop), The Dog Re-Treat and the Woof Ranch are dog houses inspired by the mid-century modern designs of Richard Neutra, Joseph Eichler, and William Krisel. 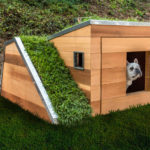 The latest model, The Woof Ranch, features a deck covered in artificial turf as well as a small window in the interior of the house to create the indoor/outdoor experience often associated with modern houses. 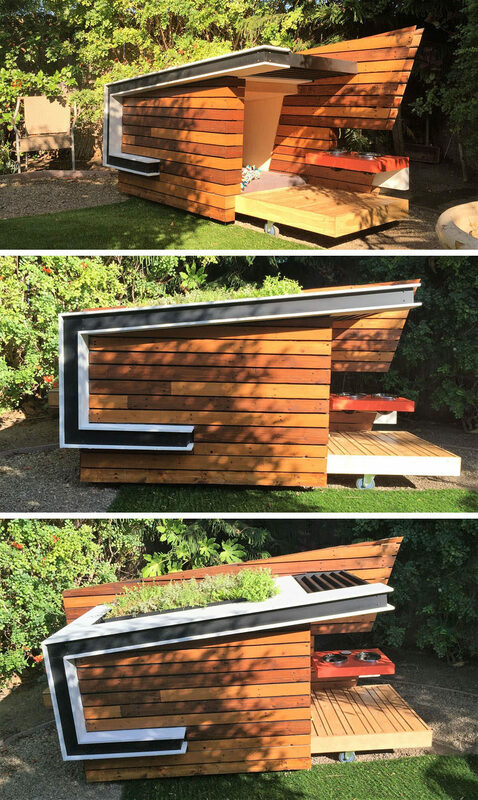 A low, tapered roof with real wood shingles was also included in the design to allow rain water to drain into a custom planter sitting at the end of the deck. 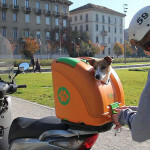 If you’re interested, you can get one for your pup, here.